It’s been a long time coming, but it looks like Steampunk fans will finally get a meaty boardgame they can call their own. 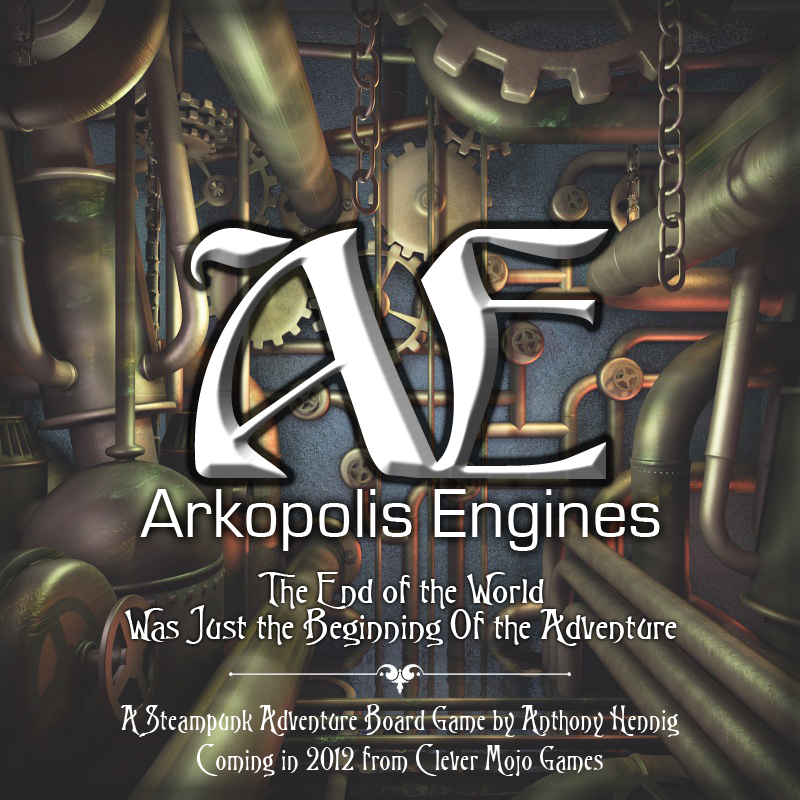 Clever Mojo Games – the makers of Alien Frontiers – is currently working with New Zealand game designer Anthony Henning to produce Arkopolis Engines. No details are available for a specific release date, but the teaser art is looking pretty nifty. I’m a huge fan of Steampunk, so rest assured that there will be plenty more news and previews of Arkopolis Engines over the next year at Dice Hate Me. In other news from Clever Mojo Games, two other projects are currently in production and playtesting. The first project is a mobster-themed game called Caporegime from Alien Frontiers designer Tory Niemann. 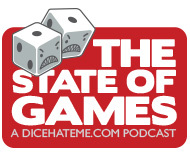 No specific details on gameplay just yet, but it promises to blend deck building and board gaming in interesting ways. The second project on the horizon is an interactive deck-building game from Fred MacKenzie called Dragon Frenzy. Again, no specific details are ready for release, but if I had to guess I would say it’s possibly dipping into the direct-conflict area of deck building like the upcoming release Nightfall, by AEG. More details to come! This sounds really cool. Keep us informed. Hi Chris, Just wanted to let you know that where you mention Dragon Frenzy in this article, that is now the old name of what has become Princes of the Dragon Throne. Thanks for all the great press! Fred – thanks for stopping by and for the heads up! I had a feeling that might have been the case, but wasn’t sure. And you guys keep cranking out good games and I’ll keeping giving you good press. Deal?